Kate Winslet – Libra Rising, Plus Sun And Moon In Libra! The luminaries will meet and kiss in the lovely Libra constellation on October the 8th or 9th, depending on your time zone. What to do With The New Moon in Libra? The new moon is a potent time of collected energy, and this month that energy culminates in the Libra zodiac sign. Sun, Moon and Mercury are present in this balanced air sign, with Sol and Lune meeting at 15º Libra. They have a tense relationship with Pluto, who’s at 18º of fellow Cardinal sign, Capricorn, as the astro-bodies form a square, which indicates different forces at play. The ruler of this new moon, Venus is Retrograde in Scorpio. Collectively, this is a fresh start for relationships, as this is the area of the zodiac that directs our focus towards getting along with others. And yet with the tension delivered by Pluto it’s showing our struggle, and the need to dig deep for fresh resolve in negations, and sharing the load. Pluto is the planet of control and bullies, of power, politics and big business. Libra wants us to get along, to play nice, to have a good atmosphere – Pluto is squeezing her to her limits. I can’t help but reflect on the recent Ford and Kavanaugh hearings, how the sweet voice of Dr Ford (Mercury in Libra) came up against the bully archetype (Capricorn in Pluto) and a court room full of powerful politicians. The scene is still resounding in my head, as it is for many of us. Just before the new moon we can let go and release, ready to make room for a fresh start and new cycle. This is an excellent time for manifestation and intention setting, that is, considering what seeds you’d like to plant, and see come to fruition on the full moon in Libra, in 2020. You don’t have to wish for the most magnificent things to unfold, this can be a streamlined request full of gratitude of what’s already in motion and remember, it’s always fun (and more intentional) to write down exactly what you’d like to occur, before handing it to the universe with a smile. Each new moon is a wonderful opportunity to take a moment of still, calm serenity, and to tune into our inner senses. Breathe and afford yourself a moment just for you. Where does the new moon fall in your horoscope? Aries can take relationships into consideration, as collaboration–and sharing life’s special moments with another–is in focus. Love and business partnerships, or any relations with a significant other count, as awareness of interactions are heightened; on this new moon you can make personal vows to move forward in sweet harmony. Bring the best of a union forward into the future, sharing life’s greatest commitments, which has been a focus this year. Libra Vibes are present in your powers of collaboration, your relationships with significant others. It’s a new moon, so the energy in the cosmos is still and quiet. Everything is dark and hidden, yet your horoscope is packed in the busiest area, meaning you might be feeling quiet and contemplative but very much in demand. Momentum has gathered in the area of service, health and wellness, your day job and routines. This new lunar month allows you to pause and reflect on progress where diet, exercise and daily rituals have been concerned. Taurus is now given a nudge to improve her habits; you’ve been a busy little bee, now ask, what would make day-to-day living a little easier? Libra Vibes are present in heath, diet, wellness, ritual and routine, hit the gym! The new month and new moon are the perfect opportunity to review your creative passions, Gemini, from you romantic life, to exciting hobbies and interests – perhaps a new love interest! Make a list on how to carry the best bits forward, showing gratitude for what’s come to your attention. Embrace what’s fun, and the things makes your pulse race… Ask yourself, what’s next for these endeavours? There’s intensity around commitments and partnerships, with Pluto butting heads with your enthusiasm, so be aware that keeping it light is a challenge. Libra Vibes are present in your romantic life, passions, hobbies and interests – team up and double your pleasure! Home and hearth, recharging in private spaces, self-care, your emotional landscape and a personal sense of nurture may have been centre, front and forward in your mind lately, Cancer. Now, I’d like you to think about the positive aspects of your domestic set-up, and how you might vow to carry those things forward, as well as improvements that can be made around in your domestic life, and relationships at home. You can wish for more of the good stuff and new beginnings where your living spaces are concerned, though there maybe tension between you and others now. Libra Vibes are present in your home and domestic settings, so give it a good fresh clean for extra powers of rejuvenation. Add beautiful fragrance and flowers. Begin the month with a fresh look at your closest network and imagine the possibilities, Leo! Bring attention to the words you speak and affirm relationships with precious playmates, siblings and close co-workers. Your local connections and inner circle now offer up opportunities for reflection – perhaps tied to the way you communicate and relate. It’s a time to consider who in your immediate surrounds you’re grateful for, despite a sense of duty and work calling you. Libra Vibes are present in your thinking and communication, Leo. The Libra new moon draws your attention towards your job, earnings and income, and how you relate to those closest – perhaps those at work. You can claim a fresh sense of resolve around your intentions to save or earn more; money and finances could be topical, or the confidence – and charm – to employ to take you there. Embrace fresh thinking around what you own, your possessions; time to enhance your the accounts, Virgo. Reflect, ruminate and resolve that you’re ready to work. A new moon in YOUR sign is like your very own new year! You can now make powerful resolutions now that are all about you, and your sense of purpose. Home life or family could feel tense, with power struggles around the home or nest; allow the emotional charge to pass, Libra. Libra Vibes are present in your physical self, YOU! With a new moon in your escape and closure zone go offline, Scorpio. Take time out just for you, reflecting deeply on your private life. There may be some power struggles among your closest friends or colleagues – your inner circle but for now tune out. Libra Vibes are present in your dreams and healing faculties. Meditate in blissful blue and cool icy white. Your community, social position, colleagues, comrades and circle of friends are in the spotlight at this new moon, Sagittarius. Look to the network and group you’re part of, the societal culture that assists you in your dreams and plans. Honor them, blessing them with thanks in your minds eye, and look to the future with cherished peers by your side. Libra Vibes are present in your friendship group. Be at one in a crowd in pastel hues. As Libra governs your public image and career path it’s possible to refresh notions of how you hope to present yourself at large Capricorn. 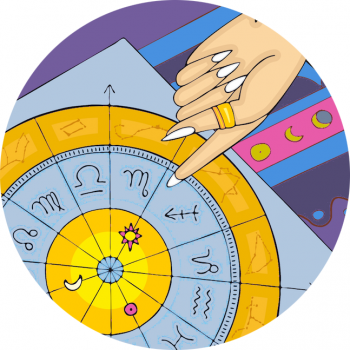 However as the new moon is in tension with Pluto in your sign, there may be a struggle of wills between what’s happening at work, and what your personal agenda has in mind. You could be called to present a cool, amicable profile, while on a much more immediate level you’re feeling impassioned. With this new moon comes opportunity to refresh your goals, aspirations and ambitions around your career path – specifically the way the world sees you. Contemplate a whole new direction, though appreciate you’re undergoing long-term transformations, too. Libra Vibes are present in your public persona. Add streamlined chic touches and fashion forward outfits to your working wardrobe! A special quest or journey is in focus this new moon, with your travel and ‘higher education’ sector drawing your attention inward. Learning something new and broadening your horizons must compete with what’s going on behind the scenes, as Pluto creates tension from his post in your closure and transformation zone. Contemplate knowledge you’ve yet to accumulate, and connections abroad you hope to make positive relations with; what beautiful climbs are still to be seen, where else will venture and traverse, Aquarius? And how about your sense of faith and personal philosophies – they’re gleaning a moment of your time now. Pisces can take a closer look at strong bonds, and the investment of time and money. Who pulls through for you in partnerships? Where do you feel most secure and at ease with what’s evolving? Your understanding of relationships can bring you support and security, however community – or your position among friends or your network poses tension. This new moon is connected to how you feel empowered in tandem to others, so affirm your vision of what loyalty feels like. What else does Pisces need moving forward? Call in what others can provide, sharing what you have, too. Libra Vibes are present in intimate areas, buy beautiful lingerie and enjoy! These intentions can be short-term, flourishing with the full moon in two weeks, or may take six months to appear, blooming with the full moon in Libra next year. Venus is passing through Scorpio and harmonises perfectly with planet Neptune, in fellow water sign Pisces. There can be extra depth and imagination in your thinking on the new moon in Libra… Read how this new moon might express itself in your zodiac sign here, and remember to read for your sun or star sign and your rising sign. At the peak of the cycle the moon is full, engorged, heightened, high and bright. Emotions are lit up, fuller, excited and engaged. While the full moon is a positive time to celebrate fulfilment, to see what’s come to pass, see how matters have unfolded and see truthfully and fully, the new moon is good for release. You can let go of clothes you no longer need to make way for the new, do a cosmic detox of your closet with these dark moon hours. Remove things you no longer want to see, including unwanted hair, too-tight jeans and toxic people. More info in ‘When To Wax, Dark Moon Beauty Rituals’, here. Sweetness, money – even better taste! Wishes are so much more meaningful when you write them down, and I urge you to pen your promises to you on pretty paper, fit for a Libra moon. You could even print off headed paper, or use a special pen for these wishes. Fold up the paper and tuck it away for the next full moon in Libra. Kate Winslet, Romy Schneider, Sting, Bruce Springsteen, Kelly Ripa, Nicky Hilton, Angela Lansbury and Chelsy Davy.